More than 154 million consumers shopped over the Thanksgiving weekend according to a survey released by the National Retail Federation and Proper Insights & Analytics. This year I decided Black Friday would be a good time to pick up some items to resell this holiday season. Not all my reselling experiences have been positive, but it’s a lucrative and viable way to earn a ton of miles and points. Black Friday Maximized – Ready, Set, Go! I planned on reselling the items I purchased through eBay and Amazon. I made a list of sought after items that would be easily (ish) accessible during Black Friday week. After that, I cross referenced my list with Black Friday advertisements and found Best Buy to be the clear winner. Not only were their deals on par with other large retailers but they have a great rewards program. Best Buy Rewards program gives you 2.5% cash back on purchases in the form of Best Buy points; this was comforting as it gave me a 2.5% cushion on margins. With my Elite Plus status with Best Buy, I was given access to select Black Friday deals on Monday. I scoured the advertisement and set my sights on Apple iPads (Air 2, Pro), iTunes gift cards and Bose SoundSport in-ear Headphones. These items were discounted, and as I wrote about in 6 Travel Gadgets I Always Have in My Carry-On, I’ve had my eyes on an iPad Air 2. Black Friday? More like Thursday..
Best Buy started their Black Friday deals online Thanksgiving day. Again, I had my eyes set on iPads and iTunes gift cards. I had problems once the sales begun with credit card authorizations, but I eventually ordered 12 iPad Air 2’s: 4 Space Gray, 4 Gold and 4 Silver. I chose the iPad Air 2’s over the iPad Pro’s because I thought they’d be more profitable and easier to resell. After iPad orders, I moved on to iTunes gift cards. Best Buy was offering a Buy One, Get One 30% off promotion on iTunes cards. When pairing this with the Amex Best Buy offer, I was able to purchase iTunes gift cards discounted enough to resell them for a profit. I decided to maximize the Amex Best Buy offer with iTunes cards as I find it easier than the VGC->Bluebird/MO route. Also, the Chase Ultimate Rewards portal was offering 3 points per dollar on all Best Buy purchases. Thanksgiving night I picked up five gold iPad Airs from my local Best Buy. If you’d like to earn Chase Ultimate Rewards or Citi ThankYou Points, there are several cards to choose from. Chase offers six cards (Sapphire Reserve, Sapphire Preferred, Freedom, Freedom Unlimited, Ink, and Ink Plus) that earn Ultimate Rewards points. 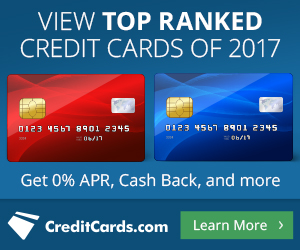 While Citi also offers six cards (Prestige, ThankYou Premier, ThankYou Preferred, ThankYou Preferred for College Students, AT&T Access, and the business ThankYou card) that earn ThankYou Points. When applying for any of these cards, we appreciate it when you use our referral links. I have limited my reselling to eBay and Craigslist. I didn’t want to pay the $1,000 non-refundable fee required to sell Apple products on Amazon, and I’ve always had great luck with eBay and Craigslist. To my surprise, I sold six iPad Air 2’s over Thanksgiving weekend, although I didn’t expect sales until after Cyber Monday. To date, I have sold nine iPads and a pair of Bose SoundSport In-Ear Headphones. Also, I have already sold all of the iTunes gift cards. The resales were profitable in total, but even if they were merely breakeven, I was able to earn over $700 if you assume that Citi ThankYou Points and Chase Ultimate Rewards are only worth $0.01 per point. I value them much higher, especially when transferring to airline partners for business class airfare! For 26,000 Ultimate Rewards transferred to British Airways and $142.00 I can book a round-trip flight from Boston to Dublin via Aer Lingus. Booking Aer Lingus flights with Avios is a major sweet spot as you avoid the extensive British Airways imposed fuel surcharges. You can book Aer Lingus flights using Amex Membership Rewards, Citi ThankYou Points, and Chase Ultimate Rewards through various transfer partnerships. I’m glad I decided to change it up this year and use Black Friday as a reselling avenue. I’m happy knowing that breaking even on sales will still net me over 42,000 points and free Best Buy certificates. Reselling is an excellent way to earn miles and points as long as you do research beforehand. Does anyone else earn a lot of miles and points through reselling? I’d love to hear about your experiences below. Liked it? Take a second to support Tyler Beels on Patreon! Previous articleHertz Dream Cars – Tesla for $149 a day! Tyler Beels is a points collector who earns most of his points without flying. While he has redeemed hundreds of thousands of points for flights around the world, he finds just as much enjoyment in the accumulation process. Tyler writes with the intention of teaching others how to leverage points and frequent-flyer programs to complete their travel wish list. What was your upfront capital spend? All said in done it was a little over 11k; the majority was iTunes gift cards. Pretty happy with over 3.8 points per dollar!